August 8th 2015. 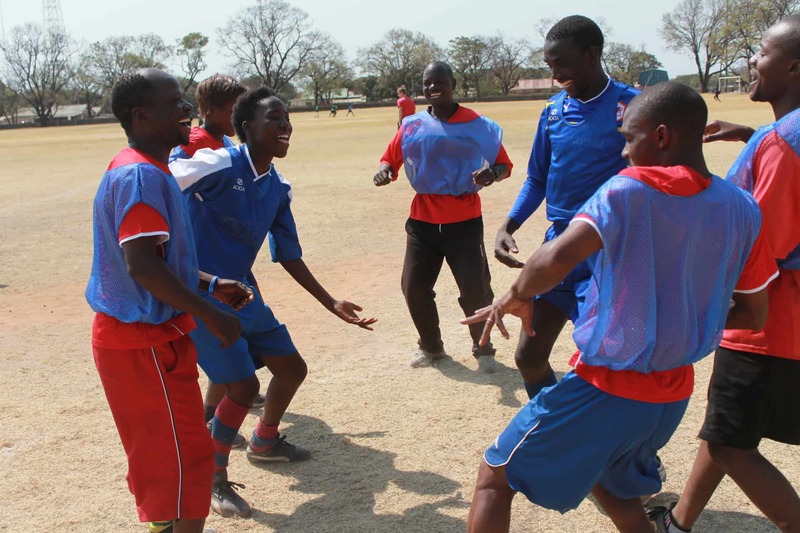 CAC staff member Turner Humphries talks about our partnership with Malalo Sports in Chingola, Zambia. 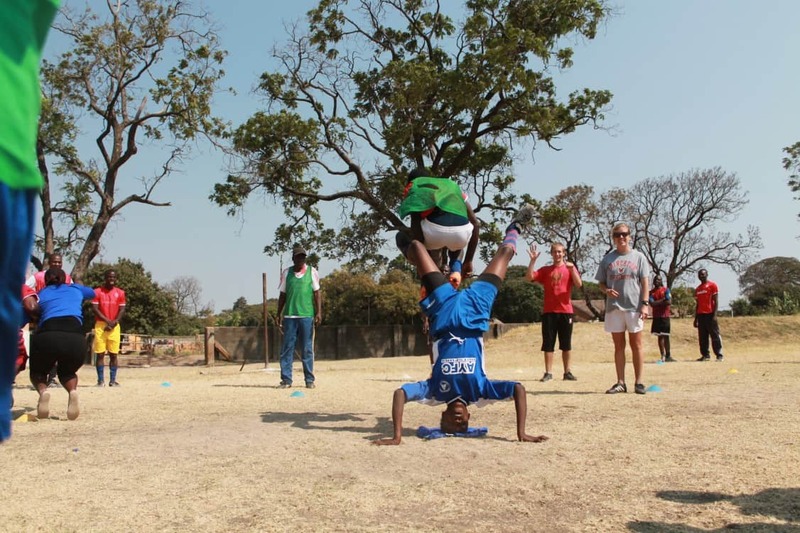 For our final week in Zambia we were working in a town called Chingola. The main source of income for the town and its population comes from the copper mines. Almost everyone in Chingola either works in some part of the mining process or provides a service for those who do. All over town you could see young men strolling around in the ubiquitous mining uniform, a navy blue jumpsuit with metallic reflective strips around the knees and elbows. Around every street corner merchants carrying bracelets and other jewelry made of copper could be found hoping to cash in on what the final products of the mine offered. On Wednesday afternoon we visited a local school where Maureen, one of our participants, coaches a boy’s team. As we pulled up to the school Maureen already had a game of soccer tennis in full swing. From the onset it was impressive to see Maureen command respect from a group of boys aged 16-18. During her practice she conducted an energized Circle of Friends, a game showcasing the destructive effects of alcohol and a game demonstrating what happens to a community when you exclude women from participating in most aspects of the economy. Maureen had clearly put some thought into the design and schedule of her practice. The games she chose not only delivered excellent social messages but were well suited for the skillful players she had. Maureen was one of the first female coaches I have seen coaching a group of older boys. Her players benefit not only from her superb coaching skill but also from having such a strong female role model in their life. Maureen serves as a great example for other women in the community who want to become football coaches. As the week progressed and we got to know our participants better we began talking about some of the traditional gender roles commonplace in Chingola. It became evident that generally the mining jobs are reserved for men, with the women creating income from either washing clothes, cleaning or cooking. Majori, one of our female participants spoke up to say how she wants to work in the mine one day. Despite her father’s misgivings she is determined to stand up to the traditional gender roles established in her hometown. For me this was a powerful moment, both for the courage this young women showed in her willingness to challenge the status quo, but also understanding what it might be like to have your own father disagree with your career choice. Growing up I was always told I could be whatever I wanted to be; an astronaut, a police officer, a chef or a sport for social impact coach. It becomes easy to take this kind of support for granted as I, and many others, have grown to expect it. Our week in Chingola also marked the third week with one of our volunteers, Sarah Thompson. She progressed each week, slowly coming out of her shell becoming a great coach with a calm demeanor. One of my favorite quotes from Sarah happened each time the CAC team introduced themselves to the participants, “Hey I’m Sarah and I’m from Green Bay, Wisconsin. I’m really close to Chicago if you know where that is.” I thought of following with, ‘Hey I’m Turner and I’m from Charlotte, North Carolina. I’m really close to New York City if you know where that is.’ Another favorite Sarah moment came when she was leading Circle of Friends – Obstacle Course. This is our standard Circle of Friends warm-up game but various obstacles are placed in the middle of the circle that required the player to perform certain exercises. During our time together the CAC team learned that once upon a time Sarah was an esteemed tap dancer. Naturally we wanted to see her display her unique skillset. As Sarah placed her final cone down in the circle she informed the group that at this cone you must do any dance of your choice. To demonstrate Sarah proudly stepped up and performed a tap rendition to a confused but equally impressed Zambian audience.